Mr. Muhl has 37 years experience in the energy industry from the wellhead to the burner tip. 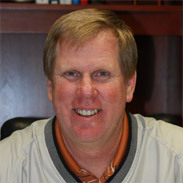 He joined Multifuels in 2003 to lead the development of the Freebird Storage Project. Prior to Multifuels, Gil held Vice President positions with Enron North America and Aquila Energy and management positions as Director with PG&E and the Williams Companies. Gil has extensive experience in Trading, both Supply and Market Origination, and Asset development of over $1 Billion of energy infrastructure in the United States.